Chief Judge Katzmann concurred in full with the Washington majority opinion but, acknowledging “serious concerns” about the reliability of DNA evidence, wrote separately “to raise a pragmatic suggestion for future prosecutions.” For cases set to go to trial, Judge Katzmann proposed, DNA evidence should be collected (where possible) and tested anew under the supervision of an analyst who is prepared and qualified to testify, averting costly and time-consuming Confrontation Clause litigation altogether. Mr. Washington was convicted in New York state court following trial on multiple felony counts relating to three separate violent home invasions. DNA evidence collected from the crime scenes matched a DNA profile created from a cheek swab taken from Mr. Washington following his arrest. At trial, over Mr. Washington’s objection, the prosecution introduced a file detailing tests of the cheek swab without putting any of the lab analysts who conducted the tests on the stand for cross-examination. According to Mr. Washington, the admission of the file violated his Sixth Amendment right to confront the witnesses against him. On appeal, the Appellate Division affirmed Mr. Washington’s conviction and rejected his Confrontation Clause claim. After he was denied leave to appeal to the New York Court of Appeals, Mr. Washington petitioned for a writ of habeas corpus in the Eastern District of New York. The District Court denied Mr. Washington’s petition, but granted a certificate of appealability given the closeness of the issue. Mr. Washington thereafter appealed. The Second Circuit, applying AEDPA’s “exacting standard” for issuance of the writ, concluded that the Appellate Division’s decision was not contrary to, and did not involve an unreasonable application of, clearly established Supreme Court precedent. Since 2004, when Crawford was decided, the Supreme Court has understood the Confrontation Clause to generally prohibit a prosecutor from introducing “testimonial” hearsay evidence by a witness unless the defendant has the opportunity to cross-examine that witness. A statement is considered “testimonial” if it was made or procured with the “primary purpose of creating an out-of-court substitute for trial testimony.” Op. at 22 (citation and quotation marks omitted). Mr. Washington contended that evidence introduced against him was testimonial under the Supreme Court’s Crawford progeny Melendez-Diaz v. Massachusetts, 557 U.S. 305 (2009), and Bullcoming v. New Mexico, 564 U.S. 647 (2011). In Melendez-Diaz and Bullcoming, the statements that the Supreme Court concluded were testimonial were contained in an affidavit and a formal certificate, respectively. The Second Circuit rejected the notion that these decisions conclusively established that the statements at issue in Mr. Washington’s case were testimonial. Those statements, in contrast to the ones in Melendez-Diaz and Bullcoming, were “a medley of unsworn, uncertified notations by often unspecified lab personnel, working . . . the same way as an assembly line.” Op. at 25 (citation and quotation marks omitted). The distinction was significant, the Second Circuit reasoned, because it meant that the notations in Mr. Washington’s case were “potentially as suggestive of a purpose to record tasks, in order to accomplish the lab’s work, as of any purpose to make an out-of-court statement for admission at trial.” Id. If the differences between Melendez-Diaz and Bullcoming and Mr. Washington’s case “cast doubt” on Mr. Washington’s entitlement to the writ, those cases taken together with Williams v. Illinois, 132 S. Ct. 2221 (2012), “foreclosed” Mr. Washington’s claim for relief. Op. at 26. In Williams, in a fractured decision, the Supreme Court determined that testimony concerning lab testing of DNA did not violate the Confrontation Clause even though no analyst from the lab testified about the lab’s work. Given the factual similarities between Williams and Mr. Washington’s case, as well as the present lack of clarity in the Supreme Court’s Confrontation Clause jurisprudence (exemplified in Williams), the Appellate Division’s decision could not be considered an unreasonable applicable of clearly established Supreme Court precedent. Id. at 37-38. In a concurrence, Chief Judge Katzmann offered a “pragmatic suggestion” to prosecutors for addressing “serious concerns . . . about whether crime labs have properly stored, extracted, and labeled DNA samples.” Concurring Op. at 1. Confrontation Clause challenges like Mr. Washington’s address such concerns but may result in “exorbitant costs in both time and resources.” Id. at 1-2, 4. 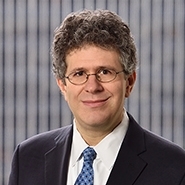 In Judge Katzmann’s view, “an easier and more efficient route” would be for prosecutors to avoid the Confrontation issue in the first place: “For cases scheduled for trial, the prosecution could order that a defendant’s DNA sample be collected and tested again and supervised by an analyst who is prepared and qualified to testify.” Id. at 2. Even DNA samples that might not be susceptible to re-collection could be re-tested if the government and its agents took care to retain the evidence samples. This procedure would be necessary only in the small number of cases in which a defendant proceeded to trial despite the existence of incriminating DNA evidence. The framing of this case as a habeas petition from a state court conviction allowed—or maybe required—the Court to avoid the question of where our Confrontation Clause jurisprudence stands after Williams. The Court only needed to determine that the law was sufficiently unclear that it could not say that the Appellate Division unreasonably applied the law. A review of this decisional law is instructive: Crawford created a sea change in the jurisprudence of hearsay and the Confrontation Clause. Before Crawford, the leading case was Ohio v. Roberts, 448 U.S. 56 (1980), which held that an unavailable witness’s statement was admissible it bore “adequate ‘indicia of reliability.’” Id. at 66. Courts asked whether the out-of-court statement fell within a “firmly rooted hearsay exception” or had “particularized guarantees of trustworthiness.” Id. Justice Scalia rejected this standard in Crawford, explaining that at common law, “testimonial” statements required face-to-face confrontation. However, the Court did not offer a precise definition of what was “testimonial” and what was not, leaving this up to future decisions. It soon became clear that compliance with Crawford might be inconvenient for prosecutors, as in Melendez-Diaz, which required the live testimony of the drug chemist who performed a test to confirm that the substance seized in a particular case was a controlled substance as opposed to a sham drug. In Williams v. Illinois, the Court began to curtail Crawford. Four justices joined in Justice Alito’s opinion that the report of non-testifying DNA analysts was admissible, while four justices rejected this as incompatible with Crawford. Justice Thomas provided a fifth vote in support of the prosecutors, but did not adopt Justice Alito’s reasoning. Given the path of the law in this area, it is not hard to see why the Circuit concluded that the AEDPA standard for granting the petition was not met. It will be interesting to see how the Circuit deals with Crawford­ in a direct appeal.